Yep, I’m moving everything over to a more centrally-located WordPress site, where I can easily keep track of books, events, and all that other jazz. Seriously, take a tour. Let me know what you think, and if there’s anything you want to see that’s no there already. First order of business: If you subscribe to this site using feedburner, your feed should stay the same (which is probably why you’re reading this in your Google Reader or whatever and thinking, “What new site?”). However, if you used to the 100 or so of you who used Google Friend Connect, you should switch to the FeedBurner link so that these posts continue appearing in your favorite reader. It’s easy peasy, just click and add! 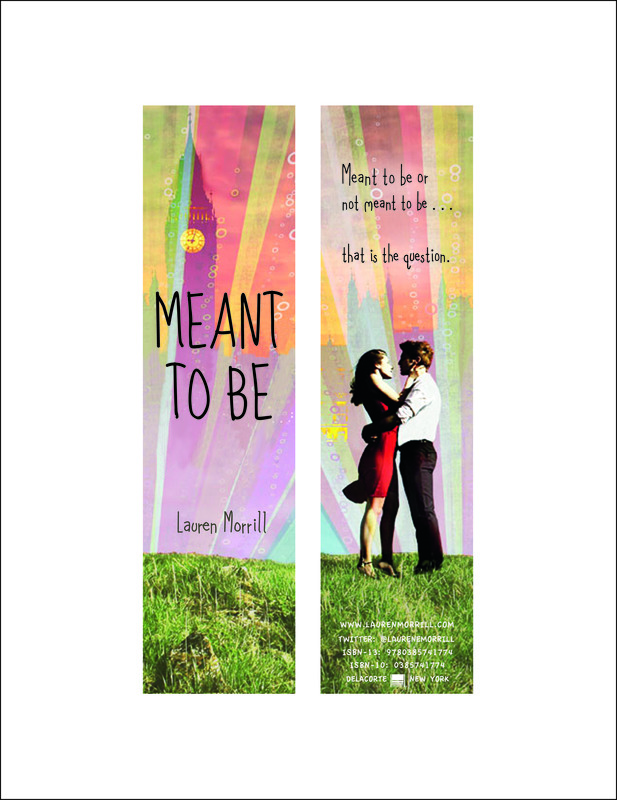 Since this is a pretty business-y post, I’ll just throw in the news that I just ordered some snazzy Meant to Be SWAG! The lovely and multi-talented Victoria Schwab designed postcards and bookmarks for me, which should be here in a week or so. Check out the bookmark design. Isn’t it sassy?